NG Media hosted a visit today from Paul Rosair, Director-General and Jenni Collard, Executive Director of the WA Department of Regional Development. 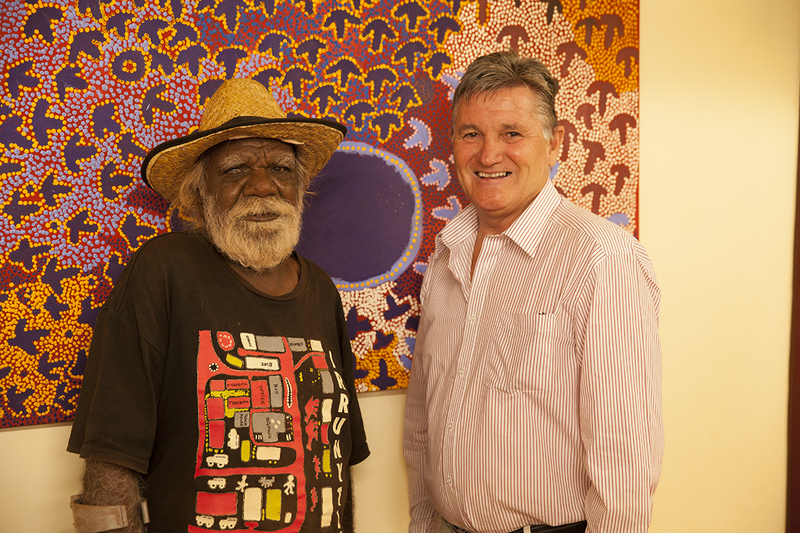 Paul and Jenni were visiting Metals X (one of NG Media's partners) and dropped by to see the Irrunytju Community Resource Centre that is funded by the DRD and because they had heard so many positive reports about what NG Media is doing here on the Ngaanyatjarra Lands. 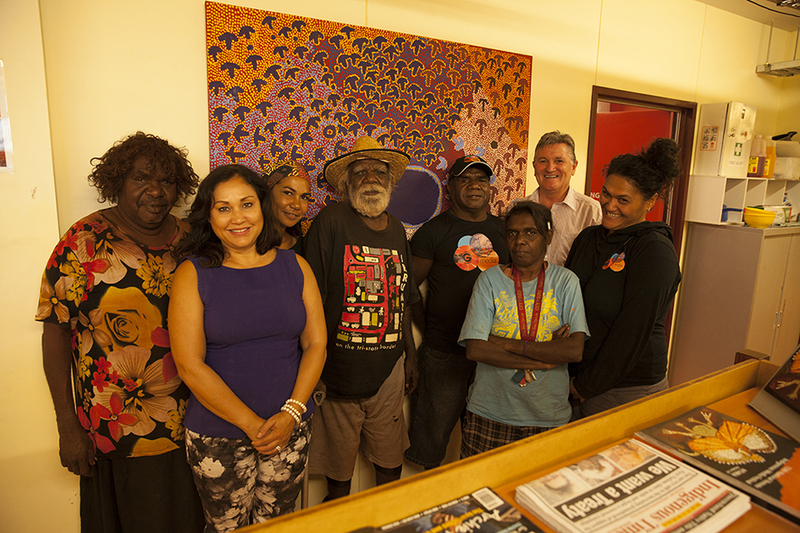 They met with staff including Noeli Roberts our cultural advisor, looked at our media centre and facilities, and spent some time talking with Marcia Mitchell on air on Radio NGM. 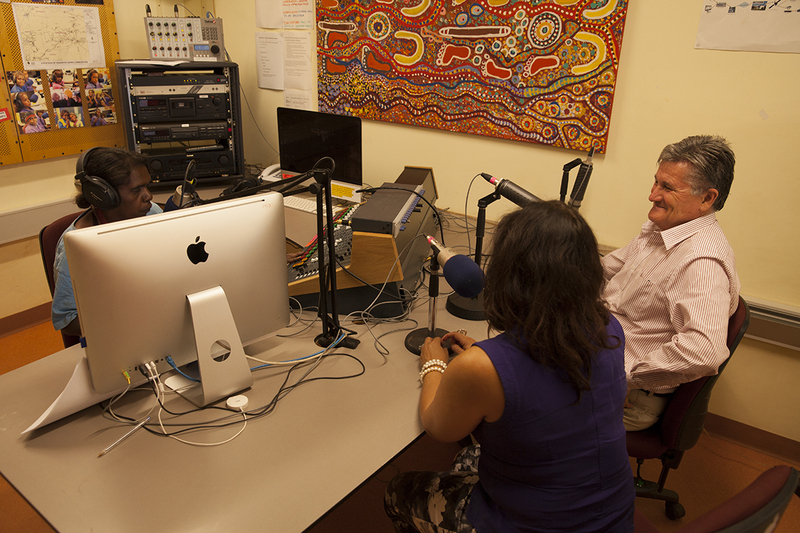 Marcia is the manager of the Blackstone media centre and a seasoned radio presenter who asked them about their visit and their experience of the Ngaanyatjarra Lands.